Summer is almost here and with it most people start thinking about working out to enjoy the great outdoors. We know we need strong, healthy bones to keep us mobile. Here is some nutritional advice to get you started – have fun being healthy! We need an alkaline level in the blood from alkalizing minerals – calcium, iron, magnesium, potassium and sodium. Because if the blood becomes too acidic, the bones release calcium to rebalance the pH level (resorption) and we want to keep the calcium in the bones. Alkalizing foods include fruits, vegetables, seaweeds, soy sauce, miso and salt. Bone broth and fish canned with bones provide additional bone supporting nutrients. 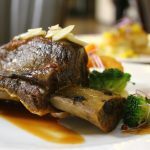 Properly prepared, meat stocks are extremely nutritious, containing the minerals of bone, cartilage, marrow and vegetables as electrolytes, a form that is easy to assimilate. Omega 3 Fatty Acids found in fish and other foods help reduce inflammation. Foods rich in omega 3 fatty acids include salmon, tuna, sardines, cod, nuts, seeds, mostly flaxseeds, walnuts, wheat germ, soybeans and dried beans. Flaxseed and hempseed vegetable oils also are a good source of Omega 3 fatty acids. Like Turmeric, Rosemary and Ginger contain volatile oils and phytonutrients that are anti-inflammatory. Rosemary also has phytonutrients that help the liver in the detoxification process. Rosemary and its phytonutrients have been found to enhance the action of liver enzymes responsible for metabolizing and detoxifying chemicals. Herbal teas can also help relieve swelling and inflammation. Devil’s Claw has anti-inflammatory properties and White Willow Bark relieves swelling and inflammation in the joints. Herbs can also be rubbed into the skin for treating inflammation. Oils of aromatic herbs, such as Eucalyptus, will penetrate into the muscles, increasing circulation and bringing relaxing warmth to the area. If you think Arthur is paying a visit, a remedy for Arthritis is to rub a little Cayenne Tincture over the inflamed joint and wrap a red flannel around it to remain throughout the night. The pain is usually relieved by morning. Garlic and Onions contain sulfur phytonutrient compounds that stop enzymes that generate a pro-inflammatory response in the body. Extra Virgin Oil has been known to reduce the inflammatory response. Researchers have proposed several reasons for Olive Oil’s anti-inflammatory benefits. One being that Oleic Acid in Olive Oil may prevent the production of inflammatory compounds. Contain the phytonutrients ferulic, caffeic acids, saponins and lignans that have potent antioxidant activity. Whole grains such as brown rice, barley, oats, whole wheat, rye and millet also provide the B vitamins, fiber, minerals and vitamin E especially magnesium which increases absorption of calcium from the blood into the bones. Eat dark green organic leafy greens, also roots and stalks for healthy bones. They provide calcium, iron, vitamin A, and vitamin K1( phylloquinone, phytomenadione, or phytonadione). DLG vegetables are important in the formation of the collagen matrix. Examples of dark leafy greens are kale, collard greens, mustard greens, turnip greens, watercress, arugula, chicory, mixed baby greens and fresh chopped parsley. However, avoid the nightshade vegetables – potatoes, tomatoes, peppers, eggplant that contain Solanum alkaloids which are calcium inhibitors and affect the normal collagen repair in the joints and promote inflammatory degeneration in the joints. Two to three servings per day of protein foods benefit the collagen matrix of the bones. The best choices are wild ocean fish, organically raised poultry or meat, and organic eggs; lentils, split peas, kidney beans, navy beans, black beans and legumes, which are a good source of cholesterol-free protein. Homemade stock from bones and seafood shell are a good source of bone building minerals, ‘from bones to bones’! 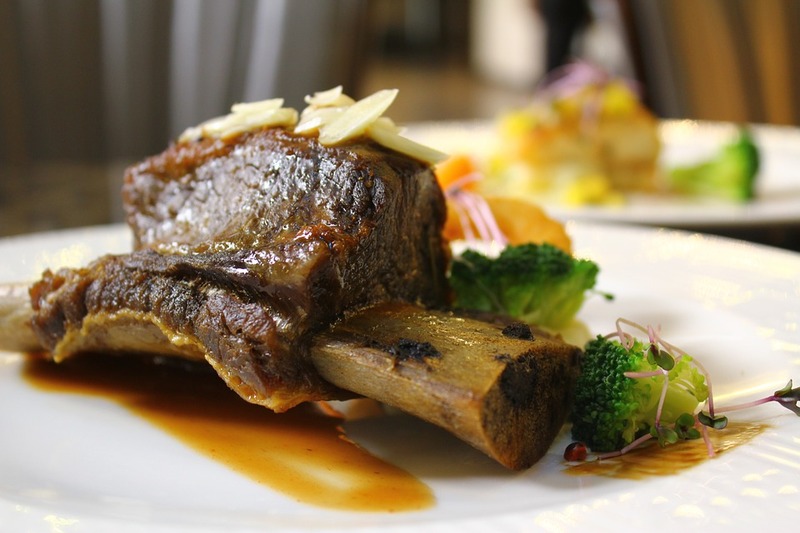 Organ meats are extremely rich in fat-soluble vitamins A and D, as well as essential fatty acids, important very-long-chain super unsaturated fatty acids and macro and trace minerals. 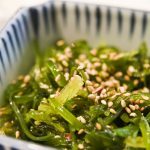 Seaweed is also rich in minerals; common varieties include kombu, nori, wakame, agar and hijiki which provide the body with mineral balance. 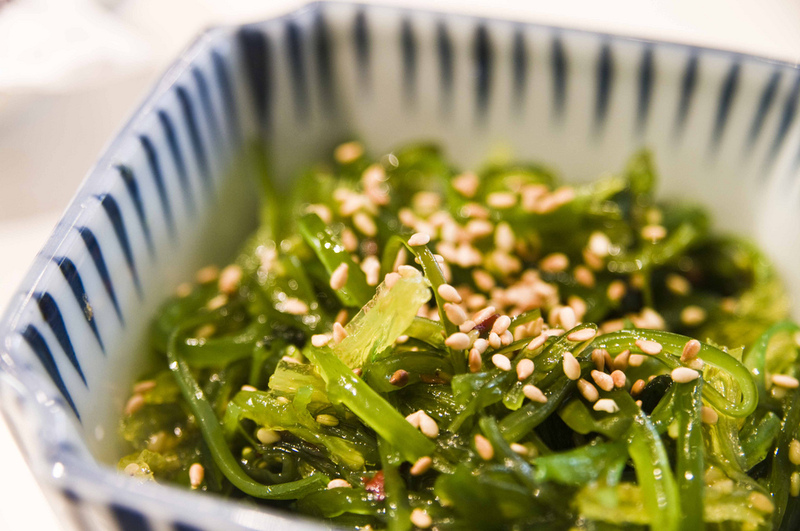 Seaweeds are also valuable for being especially high in iodine, which is necessary for good thyroid function. Thyroid and parathyroid glands play an important role in bone health. Pure water helps to promote detoxification, circulation and joint fluidity. A very basic measure to calculate would be to take your body weight in pounds, divide this by 2 and convert to ounces to determine the basic level of water intake the body requires on a daily basis. Let me know how your bones are doing!